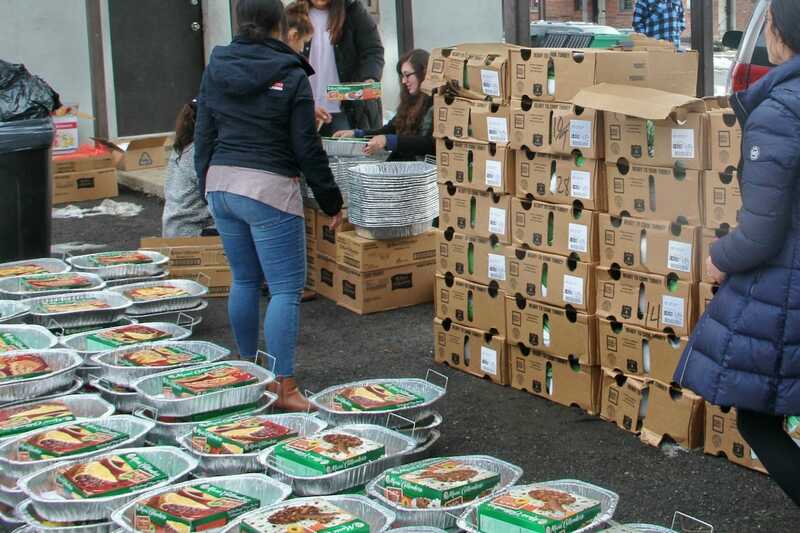 University students prepared 200 Thanksgiving food baskets for area families in need and pushed out dozens of cars stuck in the snow during a winter storm. 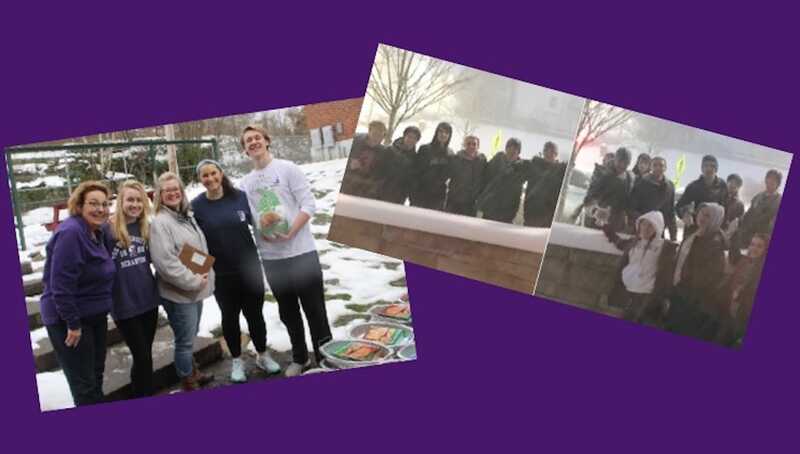 Whether feeding a family in need or freeing cars stuck in the snow, University of Scranton students were ready, willing and able to help this past weekend. 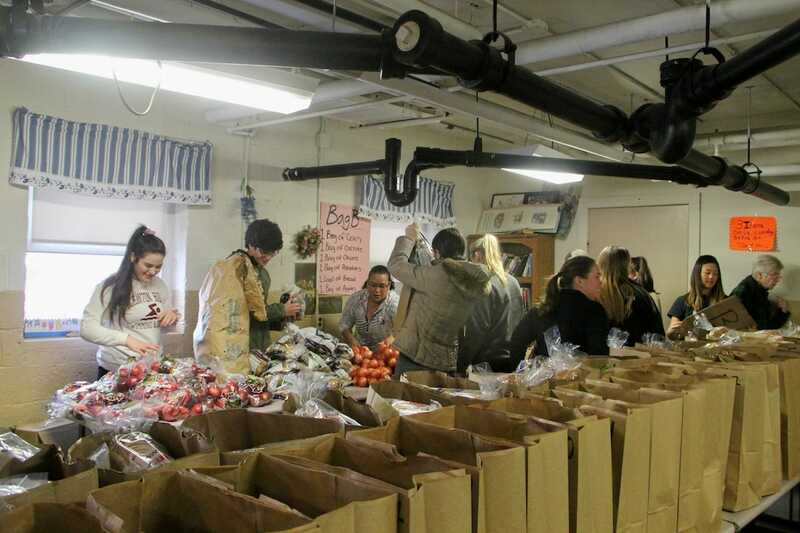 More than 100 students volunteered Nov. 18 to prepare and distribute 200 Thanksgiving food baskets to families at the Valley View Housing Development in South Scranton. 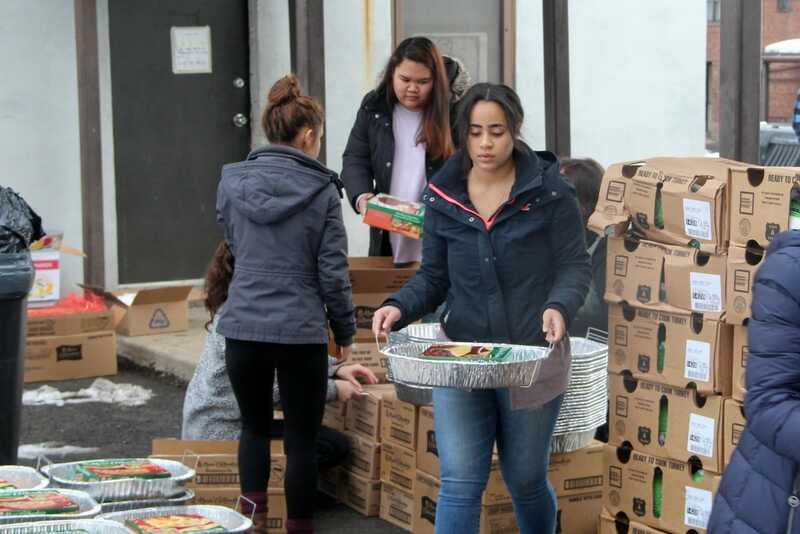 Students, faculty and staff donated food baskets for area families in need through the annual Thanksgiving Food Drive organized by the University’s Campus Ministries’ Center for Service and Social Justice. In addition, the Scranton Times-Tribune reported on University student “heroes” who pushed out dozens of cars stuck in the snow on Mulberry Street near campus during the Nor’easter that hit Northeast Pennsylvania on Nov. 15. University Chaplain Rev. 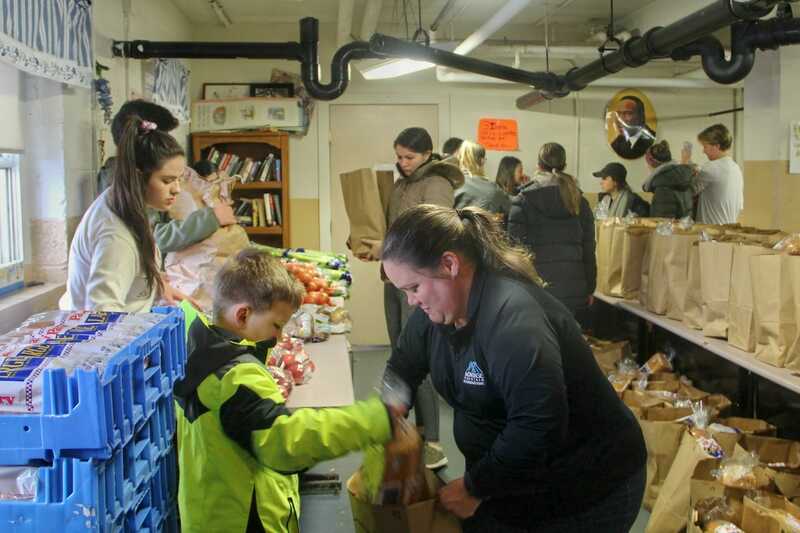 Richard Malloy, S.J., tweeted about the students’ spontaneous acts of kindness. The spirit of giving will continue this season with several holiday programs organized by University’s Campus Ministries’ Center for Service and Social Justice, including Christmas gift drives and a Community Christmas Day Breakfast, which will take place from 8 a.m. to 10:30 a.m. on Dec. 25 in the DeNaples Center.